The eagerly awaited initial public offering (IPO) of Snap Inc's (Snap) securities on the New York Stock Exchange took place on Thursday 2 March 2017. 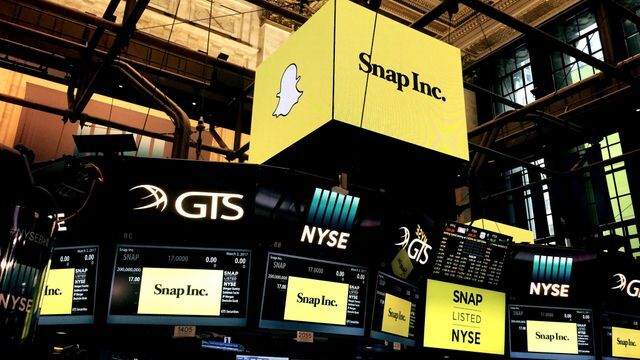 The result was a 44% increase in Snap's share value when the markets closed on Thursday evening. Brooke Masters writes an interesting article on the Snap IPO in the Financial Times which the below quote is taken from. In the article she highlights that investors fell over themselves to invest in Snap despite the fact it has yet to turn a profit, and she describes Snap's governance structure as something akin to a banana republic. Furthermore, Snap executives have openly admitted that the company “may never achieve or maintain profitability.” Despite these facts, new investors bought shares in abundance on Thursday last. At the end of the day, should it transpire that the investors who jumped on board the Snap bandwagon this week ultimately made poor investments, they cannot be said to have gone into the investment without a full picture of Snap's potential problems. A full prospectus was issued to interested investors well in advance of the IPO date detailing the good and the bad aspects of Snap. Furthermore, the shares which were issued in Snap in the IPO are non-voting shares with little to no rights attaching to them. So if things do go wrong for investors there is little they can do about it. Interestingly, Brooke Masters writes how this disregard for investor rights afforded to Snap's new shareholders is in contrast to steps taken by the Financial Conduct Authority in the UK this week to enhance investor rights. Presently, in the UK the IPO process is rather lacking in transparency and ordinary investors get little to no information about companies being floated until the shares in such companies have actually started trading publicly. The Financial Conduct Authority has proposed to make changes that will require the earlier sharing of comprehensive financial information and allowing independent analysts who are not involved in the IPO access to more information ahead of the actual IPO taking place. This is only a proposal as of yet, however, as the UK fights to keep itself an attractive place to do business as it negotiates its exit from the EU, its progress will be worth monitoring. As for Snap and its new shareholders it will be interesting to see if the IPO is a great success story, or if Snap follows the fate of Twitter who's share price has dropped 60% since it floated. So if Snap turns out to be more like Twitter (down 60 per cent from its float) than Facebook (up 250 per cent), investors cannot say they were not warned. But they will not be able to do much about their disappointment. For Snap’s public shares do not carry any voting rights at all, a new low for an IPO even in the US, where many tech companies have dual-class share structures that give outsized power to their founders. Next Generation Contracts have arrived!